I remember dying noodles as a kid so that we could make pasta necklaces. That was always so much fun! Today, I wanted to try dying cooked pasta noodles for my girls to use in sensory activities. 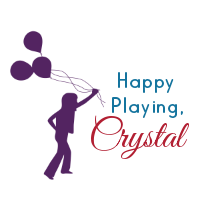 Why sensory play, you ask? 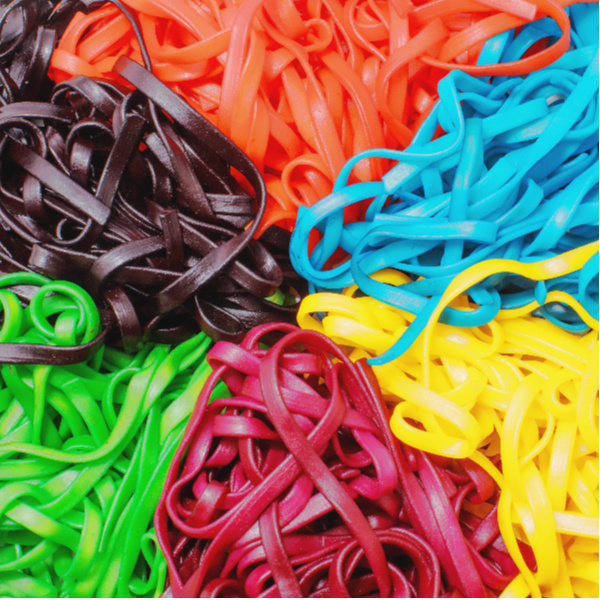 Read on for more on that and to see how we made colorful rainbow noodles. 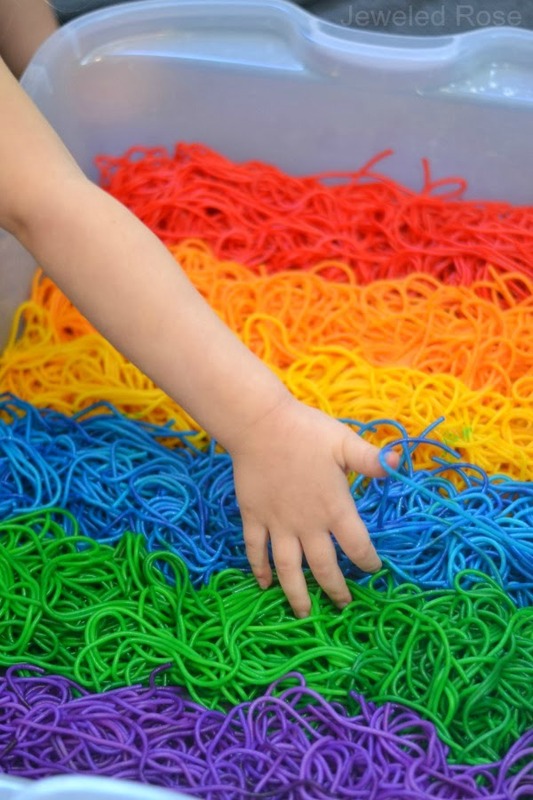 Before I show you how to make these awesome noodles let me share a little bit about sensory play and why it is beneficial. 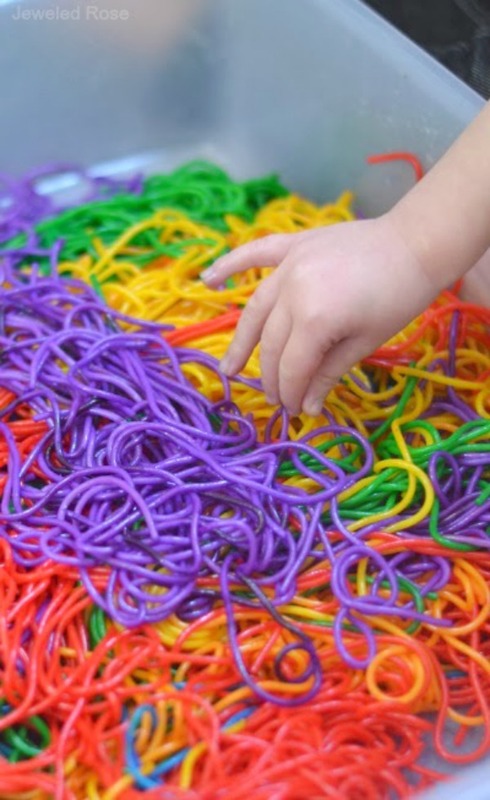 Sensory play helps to build nerve connections in the brain. 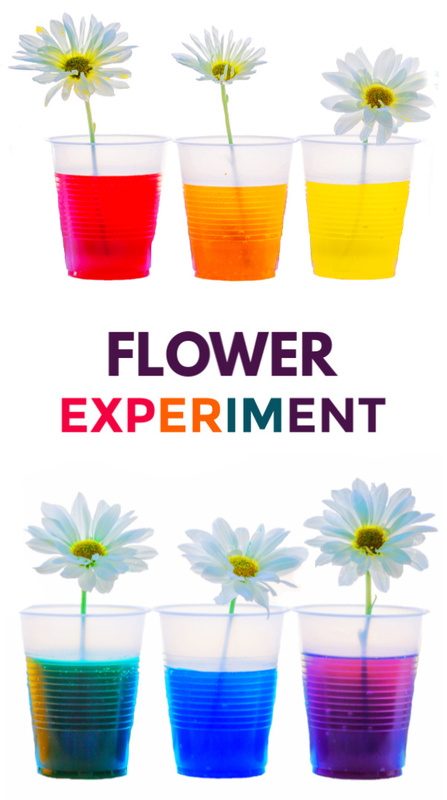 Sensory activities prompt children to use scientific processes while they play. It is proven that engaging a child's senses while presenting them with a learning task helps them to retain the information and fully comprehend it. Sensory play is therapeutic on an emotional level and helps to calm and soothe children during difficult times or before bed. 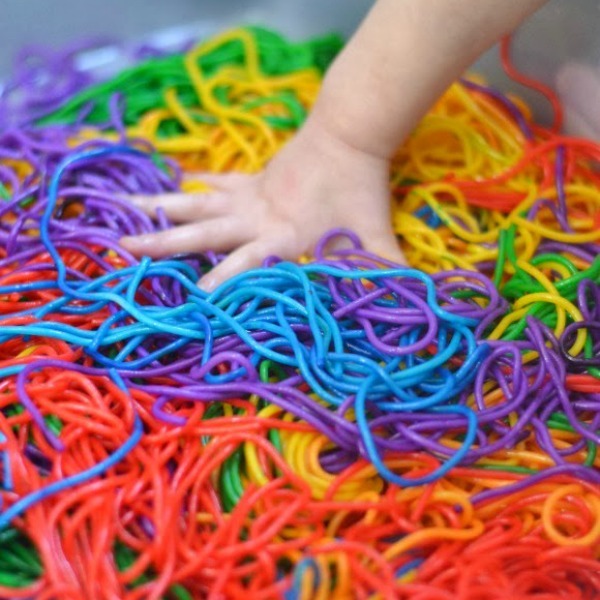 Sensory play facilitates language development, problem solving skills, cognitive function, and fine & gross motor skills. 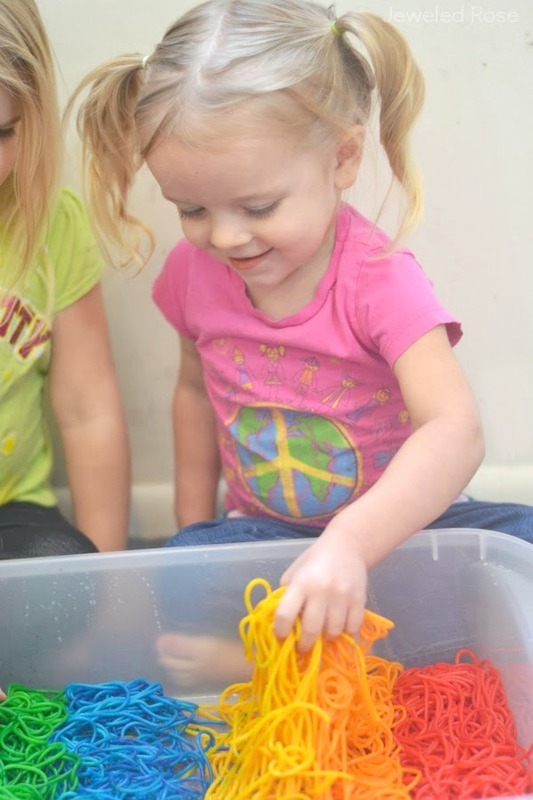 Playing with sensory materials helps children to develop their creative process. Ok, now back to those noodles! 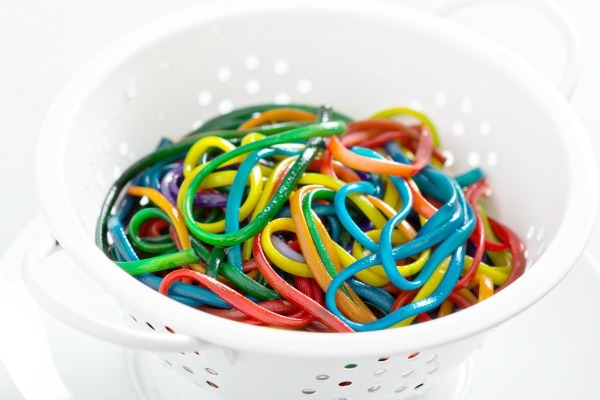 Making rainbow noodles is a really fun process for kids that leads to lots of fun and educational play. Are you ready play with the rainbow? Note: We used cooked spaghetti noodles here, but you can use any type of noodle. All types are fun! Begin by cooking your pasta noodles as normal, and then rinse them under cold water. Divide the noodles into bags, using one bag for each color of pasta that you wish to make. 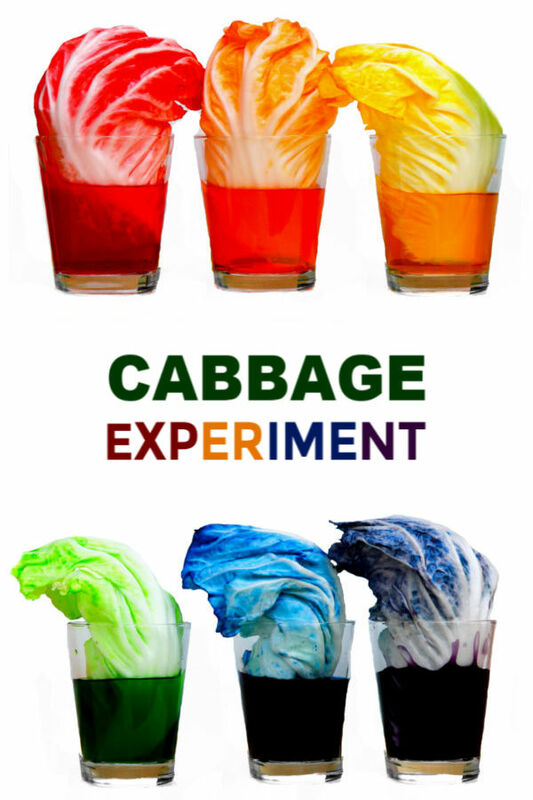 Add several drops of food coloring to each bag along with a drop of vegetable oil. The oil just helps to coat the noodles in color. Seal the bags and give them to kids to shake and squish. Continue to mix the bags until the noodles are fully saturated in color. Once the noodles are saturated open the bags, and allow them to sit for 10-15 minutes so that the colors can seep into the noodles. 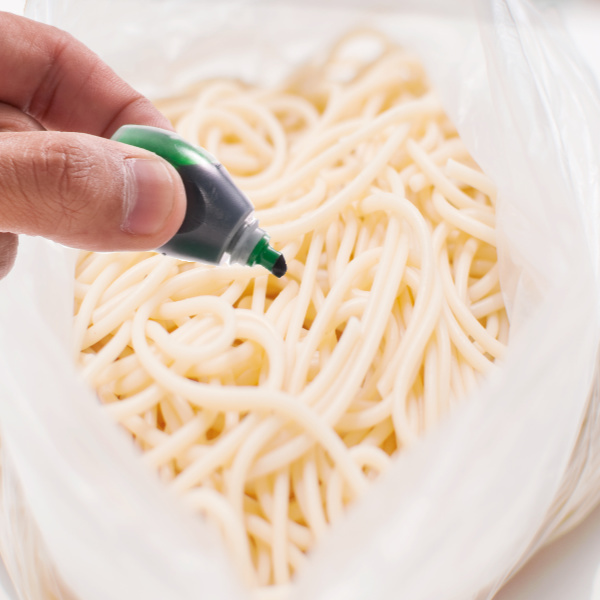 Then, rinse the noodles under cold water to remove any excess food coloring. 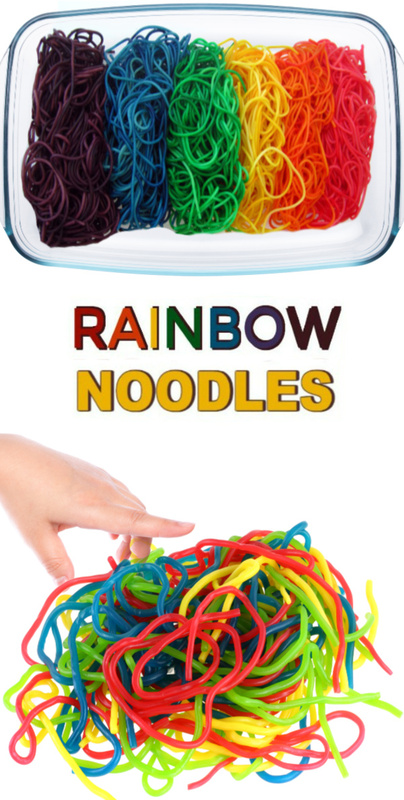 Place your noodles into a large bin or container, and the fun can begin! Add kitchen gadgets, play tools, treasure coins, or alphabet letters, and kids are sure to have a blast! As soon as two-year-old Jewel touched the spaghetti she began to shriek and giggle, exclaiming, "It's slimy, mommy!" 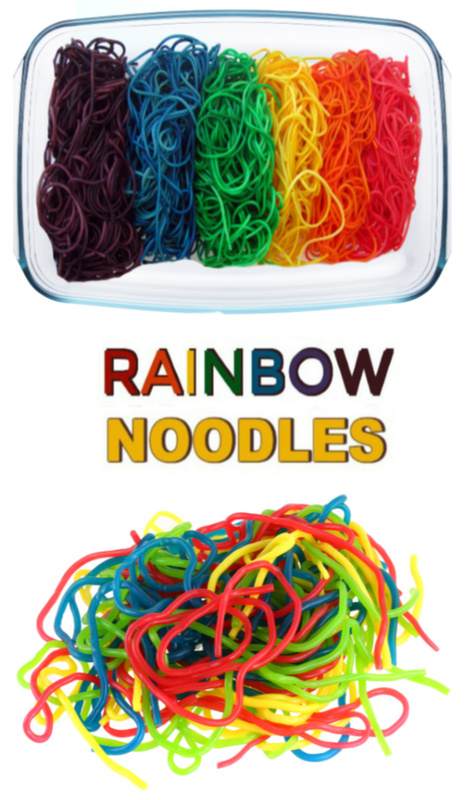 They pretended to cook, played restaurant, and sorted the noodles by color. They had so much fun and couldn't stop giggling as they squished and stirred the slimy noodles. I mean, what could be cooler than a slimy noodle rainbow? 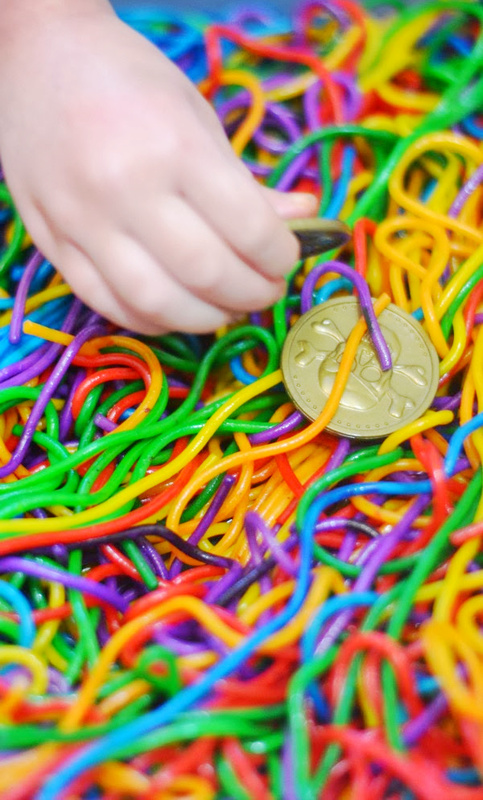 There are tons of other fun ways that kids can play with their rainbow pasta, too! Try painting with your spaghetti noodles. Rosie LOVED this activity when she was younger! Make a bug sensory bin. 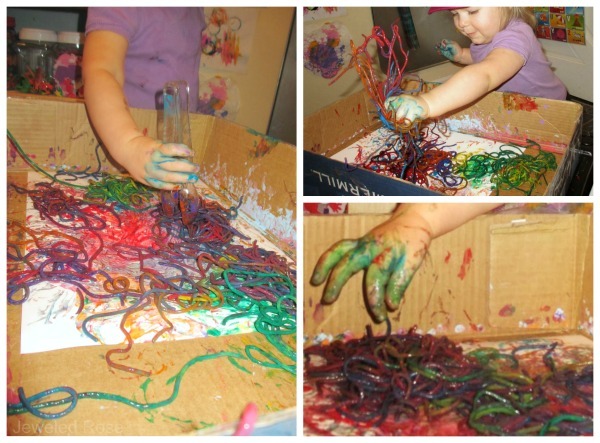 Explore a favorite book with a sensory bin like this one. Paint with rainbow spaghetti brushes. Have kids practice cutting with noodles. Use the pasta to "dig for worms". 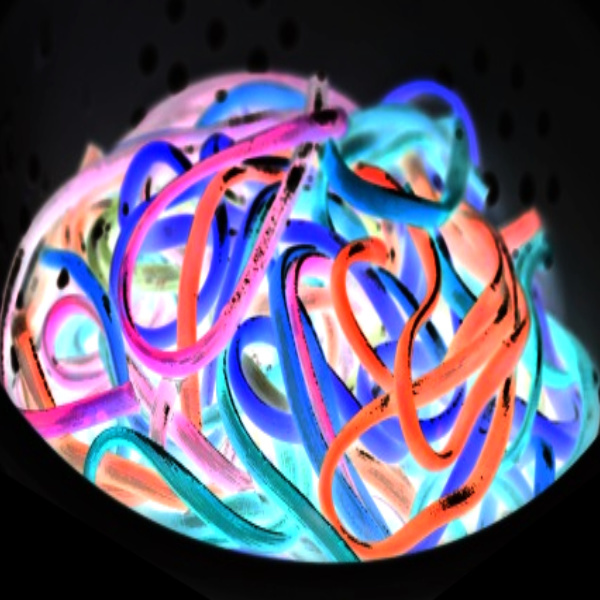 Make rainbow pasta noodles that glow-in-the-dark! 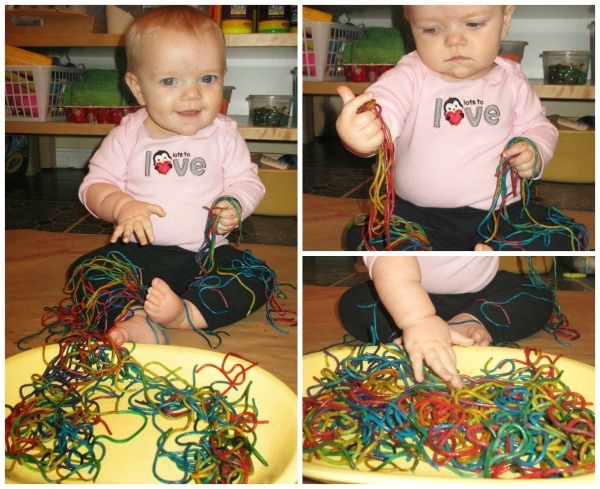 Noodles also make a great first sensory material for babies and toddlers who are still in the mouthing stage. Jewel loved to play with any left over noodles when she was a tot! 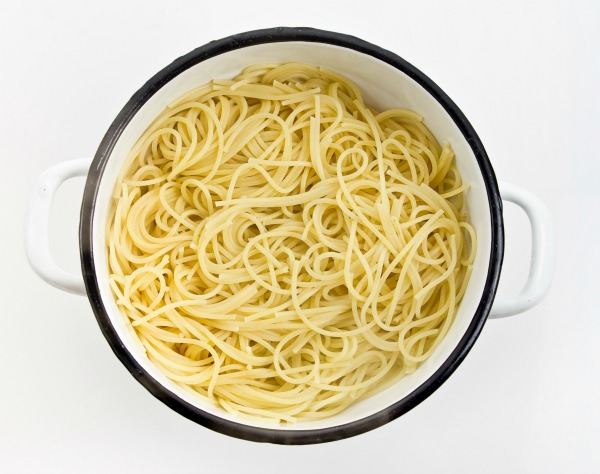 When playtime is over your pasta can be stored in an air-tight container in the refrigerator for up to one week. If you are concerned about stained hands you may want to use washable water colors in place of food coloring. 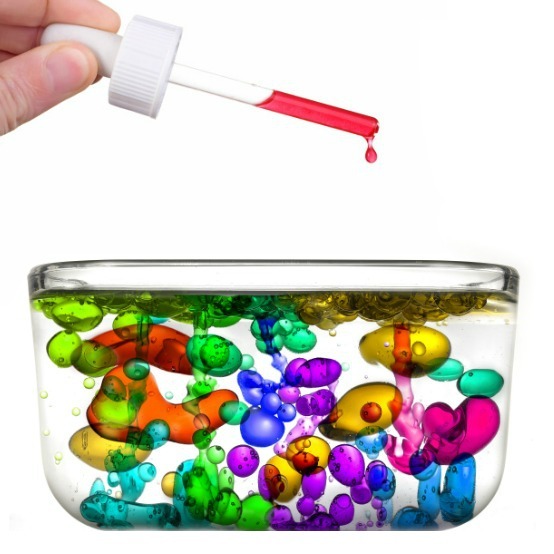 However, any staining from the food coloring will wash off of kids hands by days end.